OC’s Hair Police is thrilled to announce our very first “IN IT TO WIN IT” recipient. Each month, OC’s Hair Police will hold a drawing in an ongoing effort to recognize the exceptional efforts of a student and/or group of students that have made a positive impact at their school. OC’s Hair Police is asking for your input by offering us the nominee’s. Please submit your nominee’s through our email on our website, on our Facebook and/or simply give us a call!OC’s Hair Police will reward the winner of the monthly drawing with a donation to their cause. OC’s Hair Police is thrilled to announce that May’s recipient goes to “STAY-Students Thinking About Youth” out of Newport Heights Elementary(NHES). STAY consists of a group of 6th grade students that are working together to raise money to give back to their school as their tenure ends on the Elementary level. STAY was established at NHES during the 2009/2010 school year. OC’s Hair Police is “IN IT TO WIN IT” with STAY and applauds their efforts of a job well done!!! 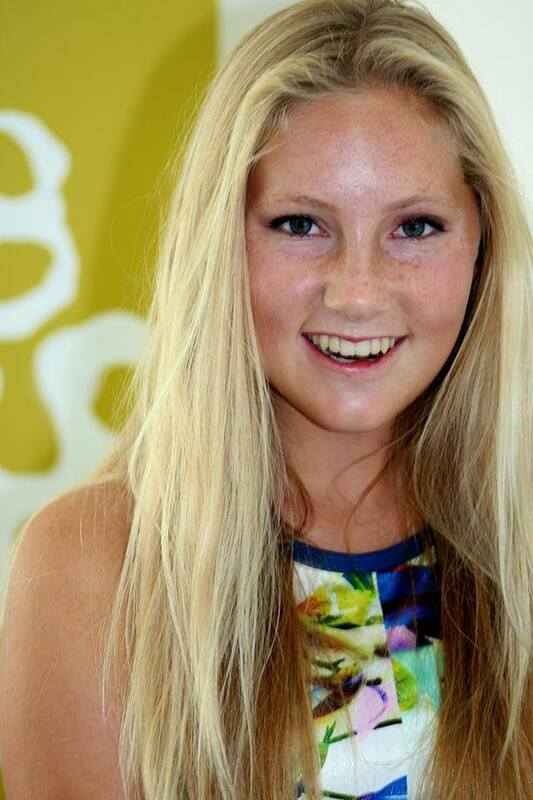 Claire Olmstead is near completion of her Freshman year at Newport Harbor High School (NHHS) in Newport Beach. She is a member of the High Schools Surf Team and is planning to offer her exceptional athleticism to the Sailors Cross Country Team in the Fall. She is enrolled in Advance Placement (AP) courses and is regarded as an Honor Student due to her high GPA. She maintains aspirations to attend college. This hard charger however, is a true Soul Surfer. The tender side of Claire finds time to bake and to give. She is a unique young lady in that her perspective is based on a much broader scope than typical teen self indulgence. Reflective of this, were her thoughts that lead her to create a “Club within a Club” at NHHS to benefit homeless children. She has often volunteered at Orange Coast Interfaith Shelter (OCIS), a loving place for homeless families, and thought that her baking might enhance the birthday parties that OCIS holds for the children at their center. “When brainstorming about what to do with my baked goods, the monthly birthdays seemed like a perfect match.” said Claire. At the onset of the 2013-2014 school year, Molly McWhertor will enter High School as a 9th grader. It appears, however, as if she has left a legacy behind at her former academic stomping ground of Horace Ensign Intermediate School located in Newport Beach. While attending Ensign as an 8th grader, Molly was involved in a club referred to as WEB or “Where Everybody Belongs”. While a member of WEB she was encouraged by Kari Rush the teacher advisor of the club, to explore the out reach opportunities that a video can create. The topic Molly was interested in addressing was bullying. Accolades came with the completion of Molly’s video that included being the National Grand Prize recipient of the “It’s Cool 2B Creative” contest established by The Be Kind People Project. The award presented to Horace Ensign Intermediate School on behalf of The Be Kind People Project through Molly McWhertor’s insightful video was $1,000.00! The Be Kind People Project has a website address of www.thebekindpeopleproject.org. Their focus is a commitment to America’s teachers and students and the inter-relationship between them as it affects family and community. We applaud The Be Kind People Project for recognizing the profound impact that Molly’s video has established. In addition, O.C.’s Hair Police would also like to recognize Molly’s middle school for allowing a platform from which kids are able to comfortably speak of their vulnerabilities, their fears, their heartaches so that they may ultimately revere in their triumphs, their love of self, their voice. Molly McWhertor is a reflection of the raw and deeply perceptive view that children maintain of their environment. With this in mind and as our first “In It To Win It” recipient of the 2013-2014 school year, O.C.’s Hair Police is honored to donate to the WEB Club at Horace Ensign Intermediate School for those that came before Molly that felt as if they didn’t have a voice and for those that will follow that just might fair better because of Molly. Matthew Kenslow has a passion for juggling. He has delighted audiences for years with his ability to not only toss several items of varying shapes into the air simultaneously while continuing the circular motion but, also by adding a very impressive narrative of dates and facts to the act. His interest in juggling began with a stress relief ball given to him by his Aunt Debbie upon her return from an air show. This simple gift from Aunt Debbie ignited a drive in Matthew with one fateful toss into the air that has allowed hundreds to be entertained for nearly 8 years now. Matthew maintains more than a passion for juggling. Since he can remember, he has always drawn. In 2012, he established an original and hand made card website called KENSLOW CARDS. Again, a simple gift for his birthday in 2009 afforded him the opportunity to purchase supplies in order to begin to recreate his artistry on a canvas that could then be purchased as an original hand made card. His website is www.kenslowcards.webs.com. On over 95% of his cards, he insists on painstakingly providing his original signature. This multifaceted young man had a speech delay until the age of 3 and has been diagnosed with Asperger Syndrome. Matthew is a joy to speak with. He references with pride the chronological order of the growth of his online card business and affectionately recants his yearly return to his second grade teacher’s, Mr. Thaddeus Richards, classroom at Newport Heights Elementary so that he may delight Mr. Richards students with his juggling act. Additionally, Matthew confidently discusses the difficult task of attaining the Gold Medal of Achievement award through the Royal Ranger Program that he has accomplished. This organization is the Christian version of the Boy Scouts and their Eagle Scout medal of honor. Currently, he is a Junior Commander within the program. Matthew is also in his first year of Junior College at Orange Coast College. It is an understatement to say that Matthew is an anomaly. Throughout his life he has transformed expressions of love toward him into outward gifts of the same to those around him in a vastly growing circle. In nurturing this seemingly natural signature response, Matthew has asked that O.C.’s Hair Police provide our current “In It To Win It” donation to the Fellowship of Christian Athletes (FCA) at his former High School, Newport Harbor High. This on campus club embodied the simple gift of a “nice atmosphere of people and friends” for Matthew. O.C.’s Hair Police is honored to promote Matthew’s healthy perspective of human interaction through kindness to the FCA so that they may continue to inspire the Matthew’s amongst us to be our reminder that our differences can be our strengths in unifying where we would have otherwise remained oceans apart. In Savannah, Georgia on March 12th, 1912, Juliette “Daisy” Gordon Low gathered 18 girls for the very first Girl Scout meeting. Today Girl Scouts of the USA maintains 3.2 million members from girls to adults and touts over 59 million Girl Scout alumnae throughout the U.S.
A Youth Minister from Our Lady Queen of Angels spoke to the Girl Scout troop referencing the amount of homeless children throughout Orange County. As an example, she pointed out to the girls that quite possibly at least 5 kids that attend their school do not have a place to lay their head at night, that teenage homeless are embarrassed of their situation, that there are a multitude of reasons for a child to be homeless, and that they do not necessarily reflect the stigma of uncleanliness that is so often associated with being homeless. The Girl Scout troop was moved to want to help. The StandUp For Kids national organization upholds a mission “…to end the cycle of youth homelessness throughout the United States.” This year, they are partnering with Gen 1 Youth Ministry at Our Lady Queen of Angels Church in offering the Day of Christmas to Orange Counties homeless children. Sophie, Rianne, Kayla, Amber, Jacquelyn, and Mary are excited to assist in the cooking and food preparation the day before the event while offering their photography, videography, and Santa Helper expertise on the very day of the festivities. O.C.’s Hair Police is impressed at the compassion of the of the young ladies in this Girl Scout Troop and feel it only appropriate to have them as our December “In It To Win It” recipients. On their behalf, we happily will donate to the StandUp For Kids organization. These young ladies will unknowingly leave an indelible mark upon each of us through their compassion, empathy, and concern for their community and for kids their same age. Their unconditional efforts reverberate by instilling hope for tomorrow while inspiring society at large to embrace an opportunity to develop a sense of humanity that otherwise may have not been considered if it weren’t for their actions toward a select number of their peers whom are regularly searching for a peaceful place to rest their weary heads as the night blankets the earth. This insert was borrowed from an essay written this year by Newport Harbor High School sophomore Jessy about her younger brother. Jessy’s younger brothers humble beginnings started at Blind Children’s Learning Center (BCLC). Canyon High School student Jaclyn Skvarla shares in a similar path as Jessy. Though neither young lady knows the other, each are in high school and both have disabled brothers that attended BCLC. This year, Jaclyn was presented with an assignment that would lead her back to a place where hearts heal as disabled children are nurtured on a course to become more then their families could ever dream of them being as these precious lives manage in the world with much less than the norm. Jaclyn’s project requirement maintained that the outcome of the plan would have to provide meaningful results that would carry over into a long term gain for the people of an organization. Jaclyn wanted to “…give back some of the joy everyone brought us!” at BCLC by building the school a sensory garden. Jaclyn offered her idea to her classmates Savi Williams, Khushi Arora, and Gavin Bains whom immediately embraced the concept. The foursome created a plan for a sensory garden in a planter on the BCLC campus. Determined to make a difference, they raised funds through a bake sale allowing them to purchase the needed supplies. The sensory garden maintains labels in Braille and is accessible independently by a wheelchair. 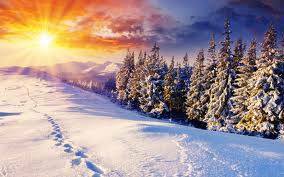 The world is blessed with unsung heroes if just for a moment one steps back to look. BCLC is an environment that answers this calling. Through their respective brothers lives, both Jaclyn and Jessy have been given the ability to maintain a peaceful acceptance of an imperfect world, the understanding of the strength of an indelible spirit wrapped in disability, the richness of love as it faces vulnerabilities ongoing. BCLC nurtures “A Bond Like No Other”, as Jessy’s essay is titled, for countless young disabled children and their families. 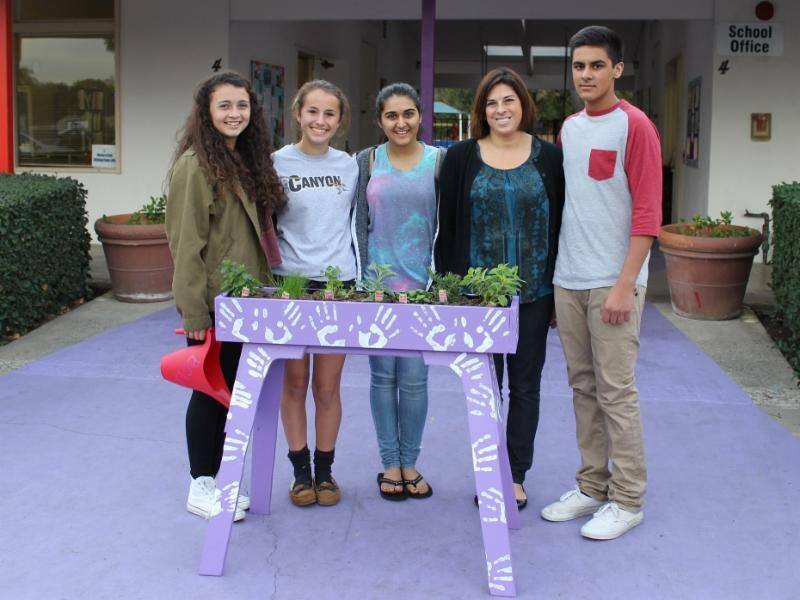 O.C.’s Hair Police commends Jaclyn, Savi, Khushi, and Gavin for their sensitivity to the visually impaired and blind students at BCLC as they brighten these children’s lives daily with their gift of a sensory garden. In this spirit, O.C.’s Hair Police will proudly donate to BCLC’s sensory garden on behalf of Jaclyn, Savi, Khushi, and Gavin as they are deemed our “In It To Win It” current honorees.